Fruit ripening induces changes that strongly affect their matrices, and consequently, the bioaccessibility/bioavailability of its phenolic compounds. Flesh from ‘slightly’ (SR), ‘moderately’ (MR) and ‘fully’ (FR) ripe ‘Ataulfo’ mangoes were physicochemically characterized, and digested in vitro to evaluate how ripening impacts the bioaccessibility/bioavailability of its phenolic compounds. Ripening increased the flesh’s pH and total soluble solids, while decreasing citric acid, malic acid and titratable acidity. MR and FR mango phenolics had higher bioaccessibility/bioavailability, which was related to a decreased starch and dietary fiber (soluble and insoluble) content. These results suggest that phenolics are strongly bound to the fruit’s matrix of SR mango, but ripening liberates them as the major polysaccharides are hydrolyzed, thus breaking covalent bonds and disrupting carbohydrate–phenolic complexes. There was also a higher release percentage in the gastric digestion phase, as compared to the intestinal. 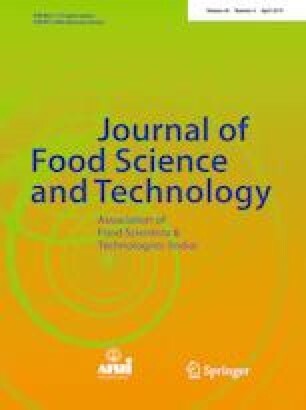 Our data showed that the bioaccessibility/bioavailability of mango phenolics depends on fruit ripening and on digestion phase. This work was funded by Consejo Nacional de Ciencia y Tecnología (CONACYT), through Project No. 563: “Un Enfoque Multidisciplinario de la Farmacocinética de Polifenoles de Mango Ataulfo: Interacciones Moleculares, Estudios Preclínicos y Clínicos”.